Edmund's dev blog for gay nerds: You unlocked Flywrench! We announced last night on our twitter that Flywrench is officially a playable character in Super Meat Boy! When you find the secret warp zone you get sucked into the low-fi world of Flywrench, where meat boy is infiltrated by the popular flapping protagonist. You control Flywrench through 3 levels that are played out inside meat boys 4bit body. Once completed Flywrench will be avalible at the character select screen to use in any main game level. 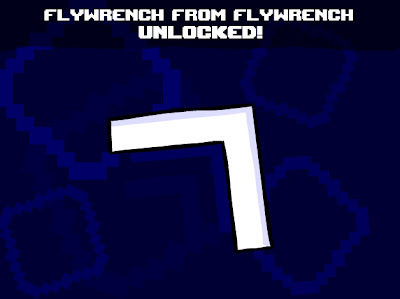 Flywrench features the ability to fly for a short amount of time, flapping his wings to gain height and changing colors as he would in the original game. Awwwww, yeah... Can't wait to play it, Edmund. It keeps sounding better and better. I grew a beard too! ... though, it's not as epic as that one.